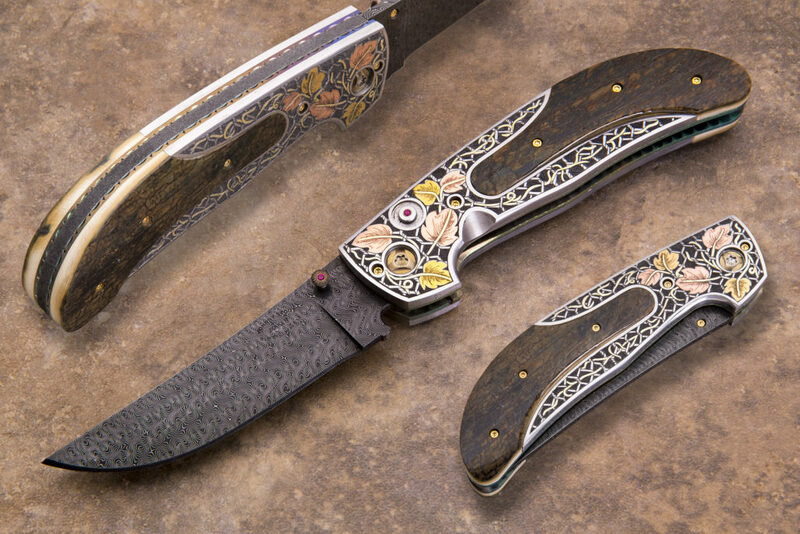 The Amigo Double Action Automatic. 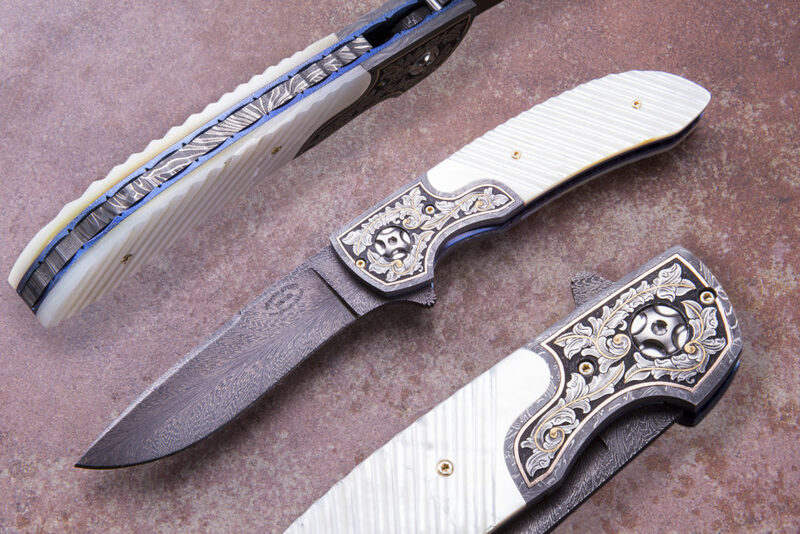 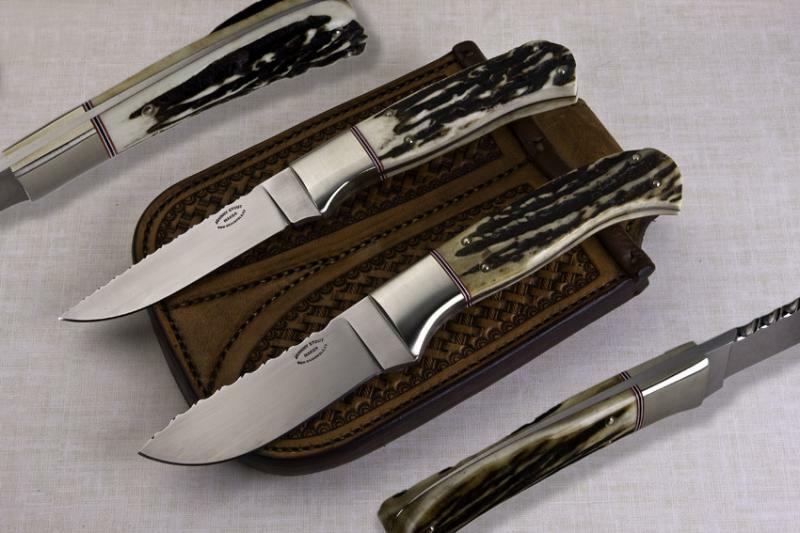 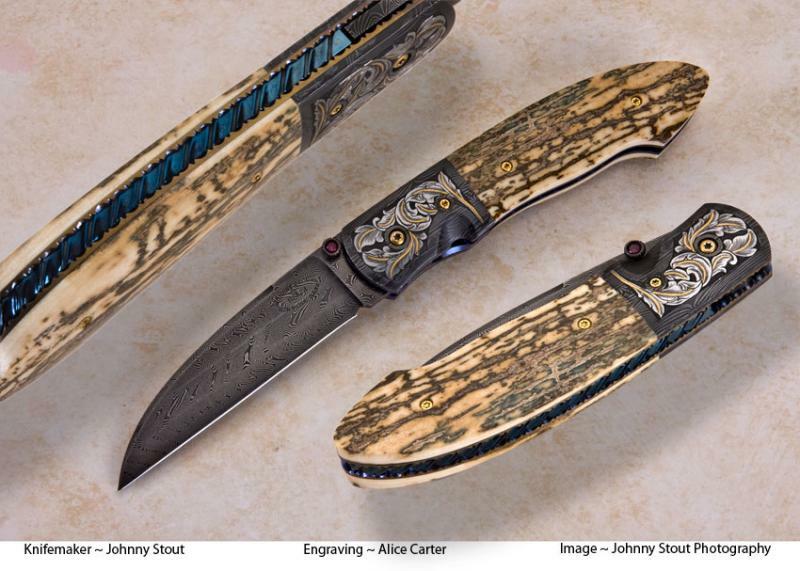 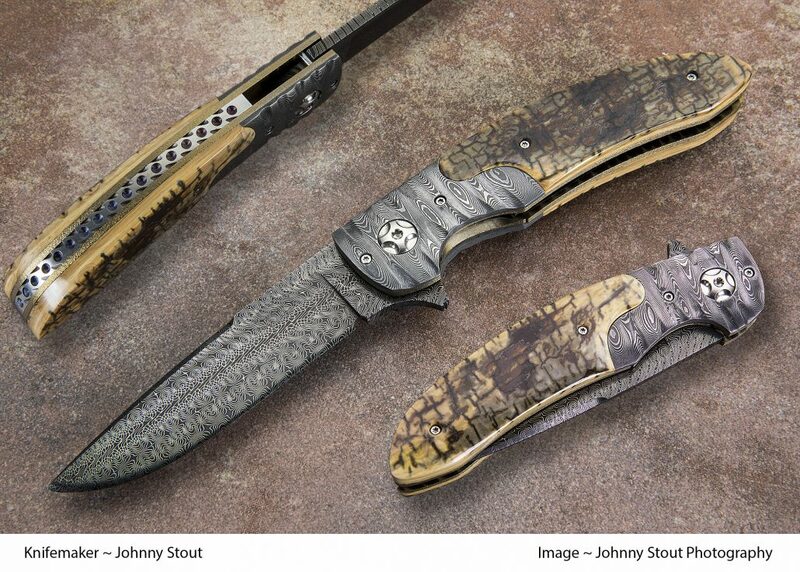 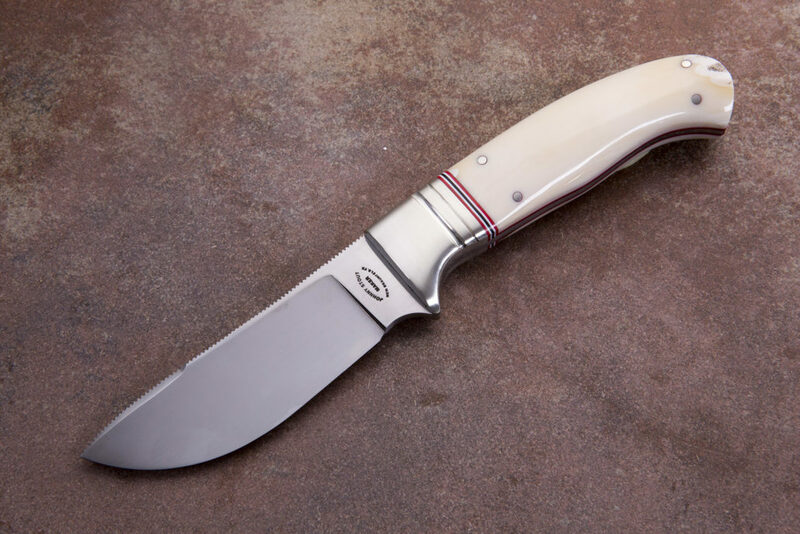 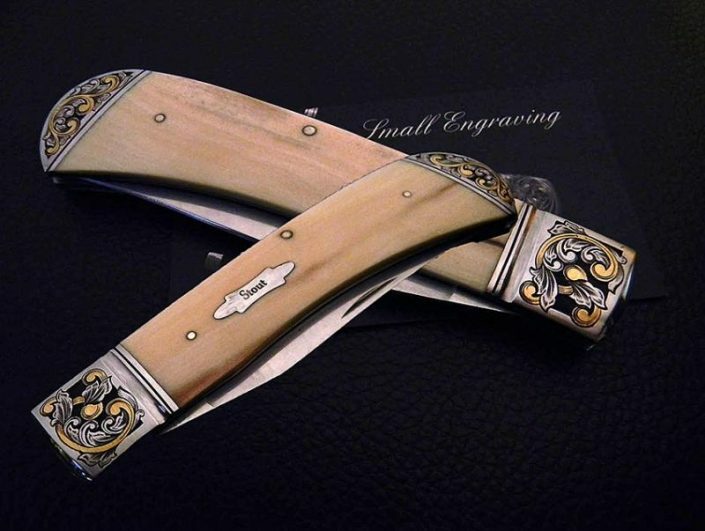 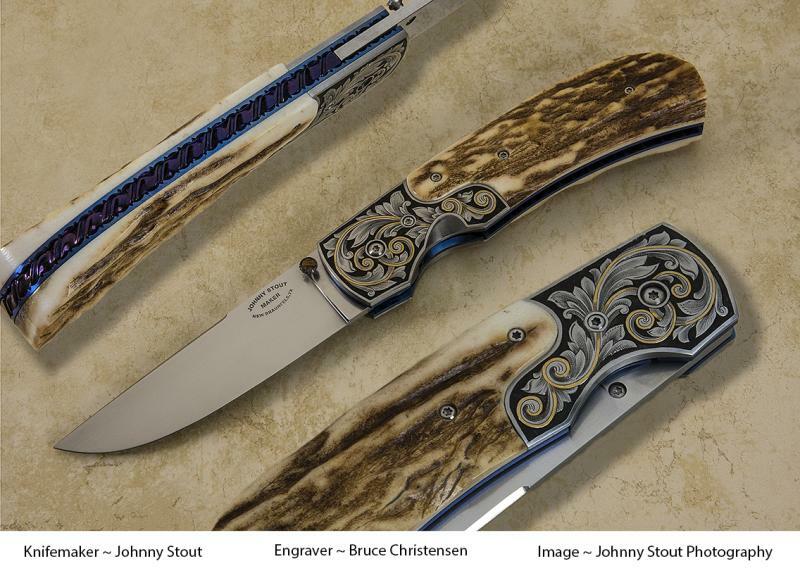 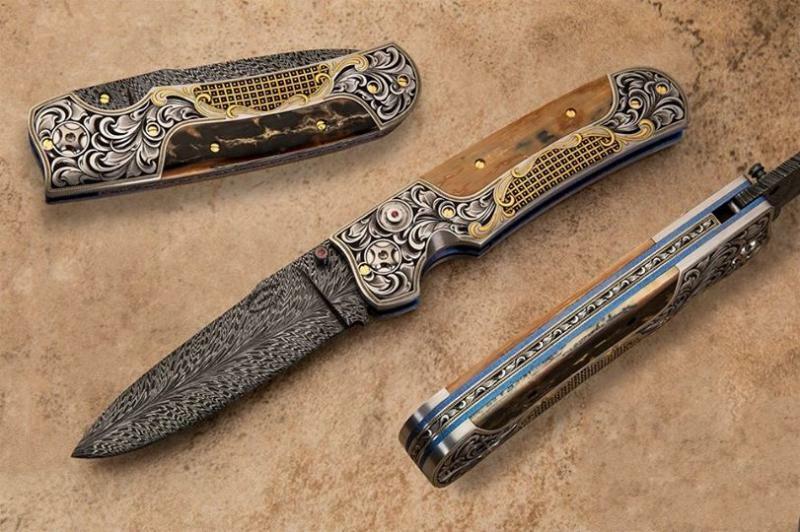 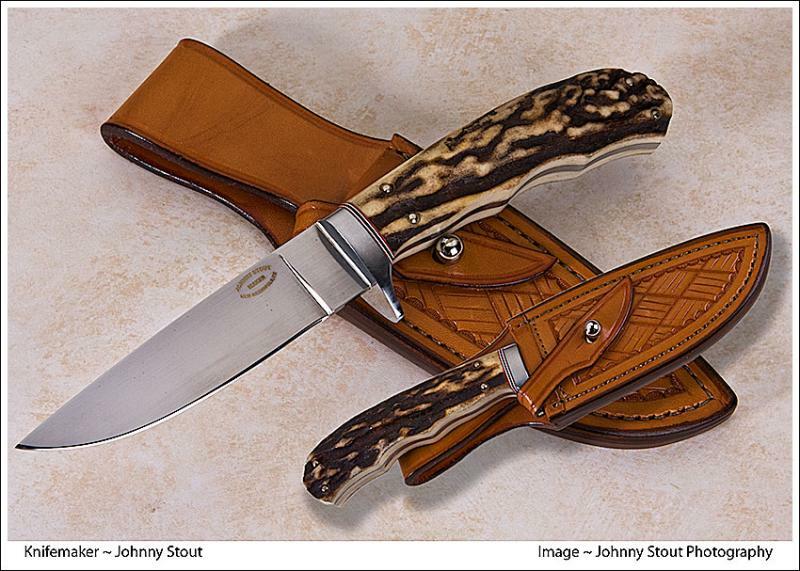 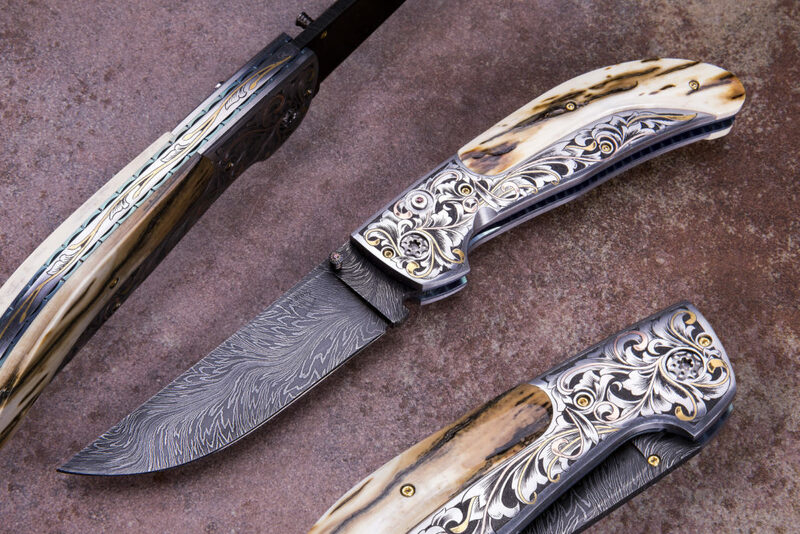 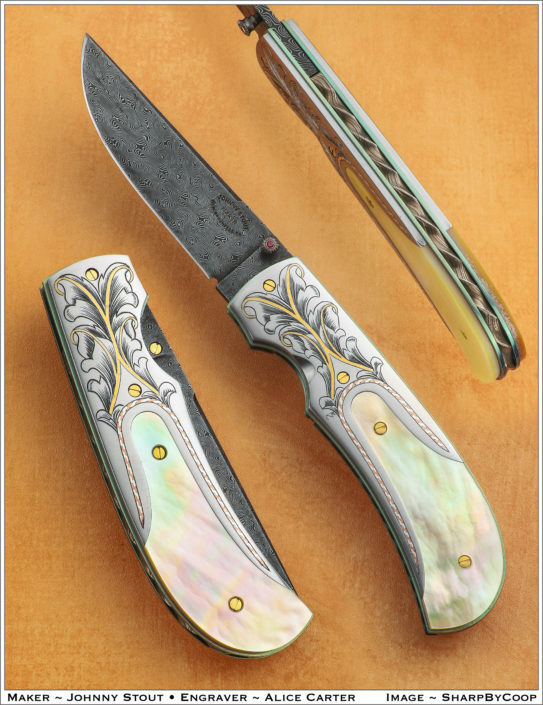 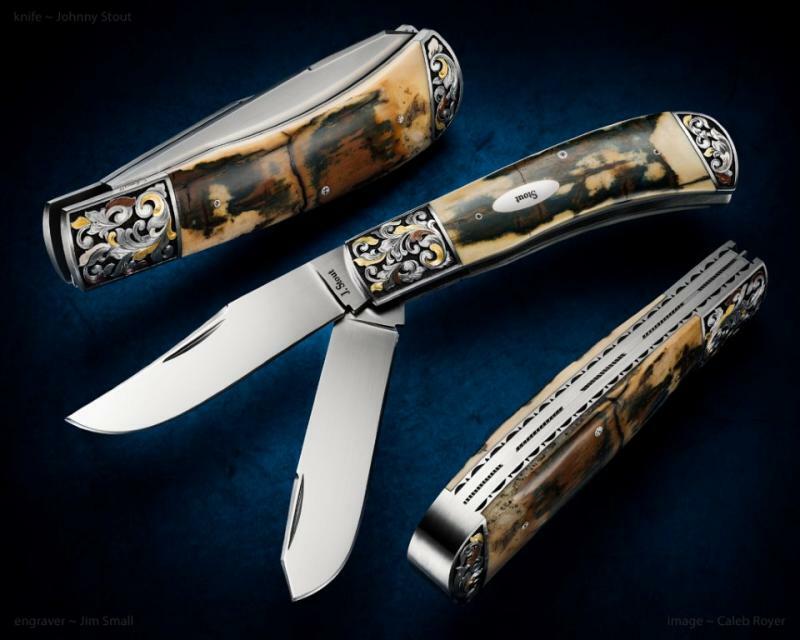 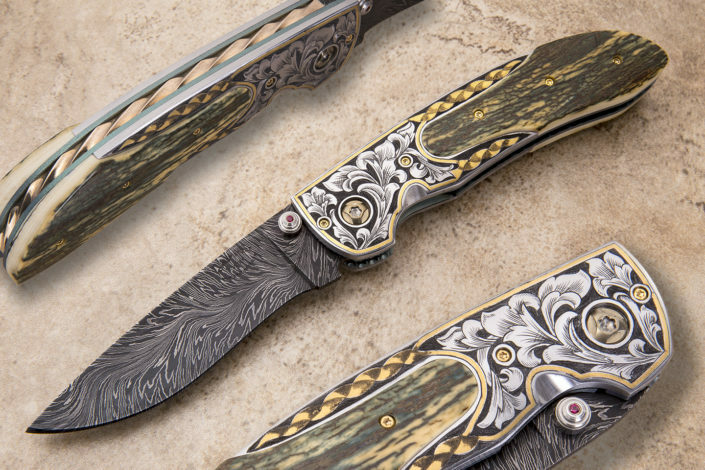 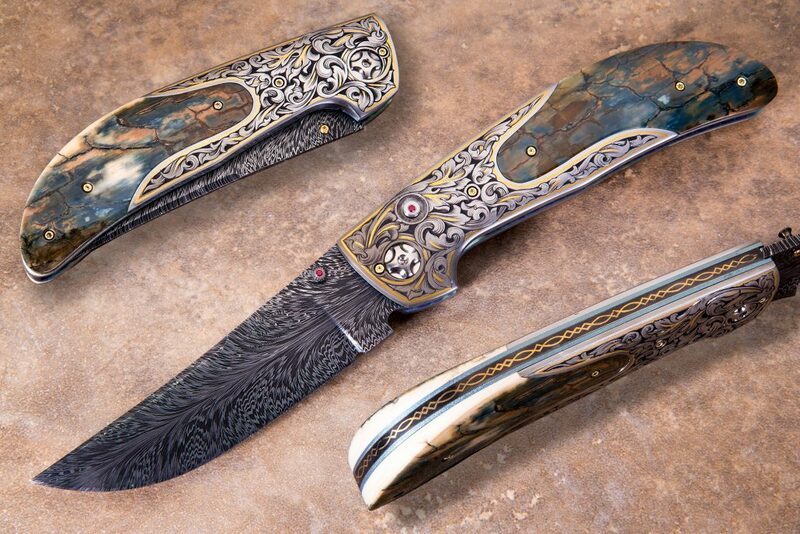 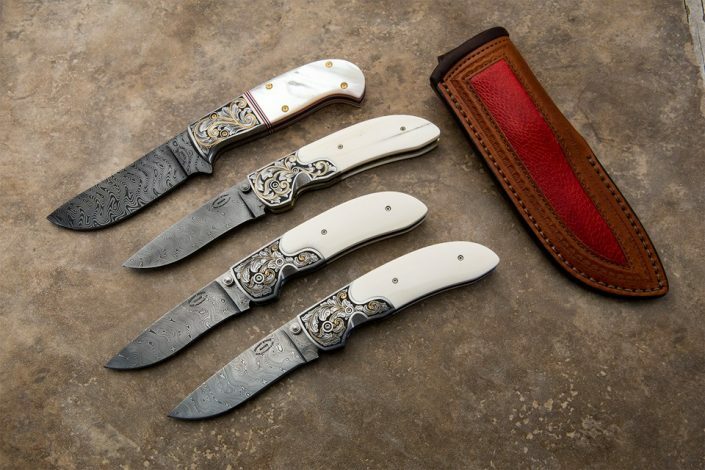 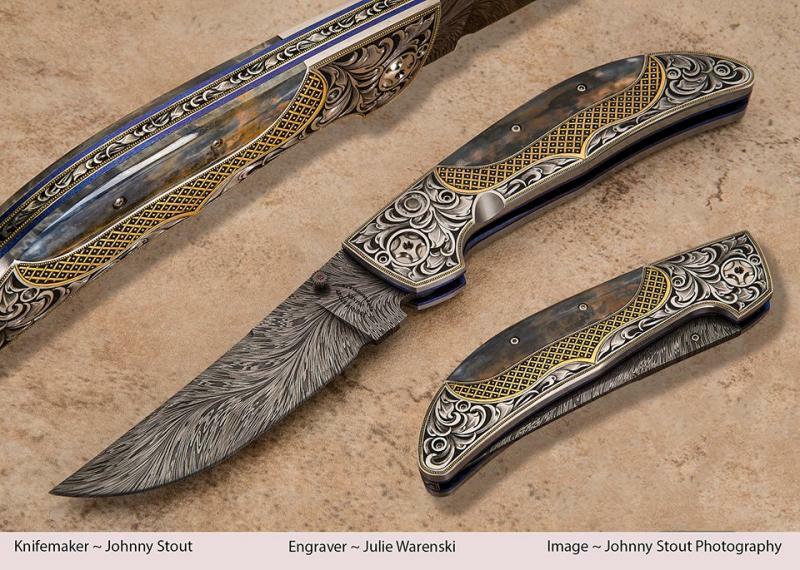 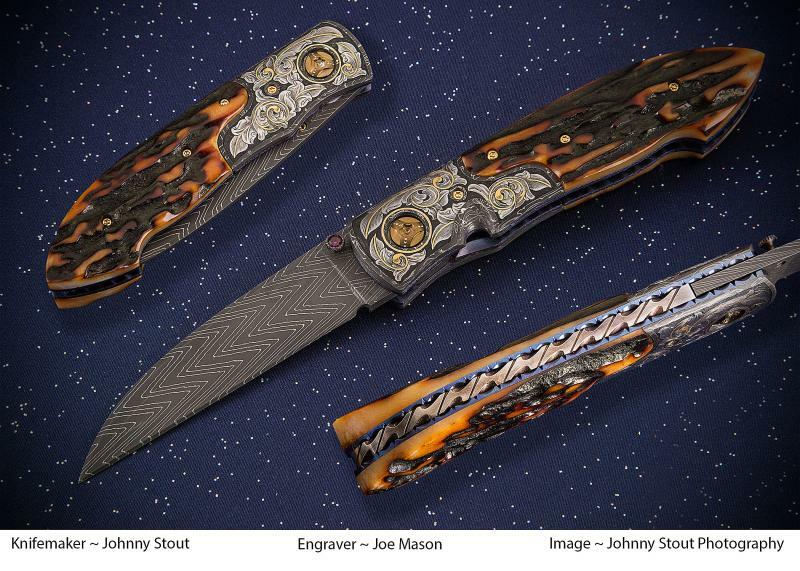 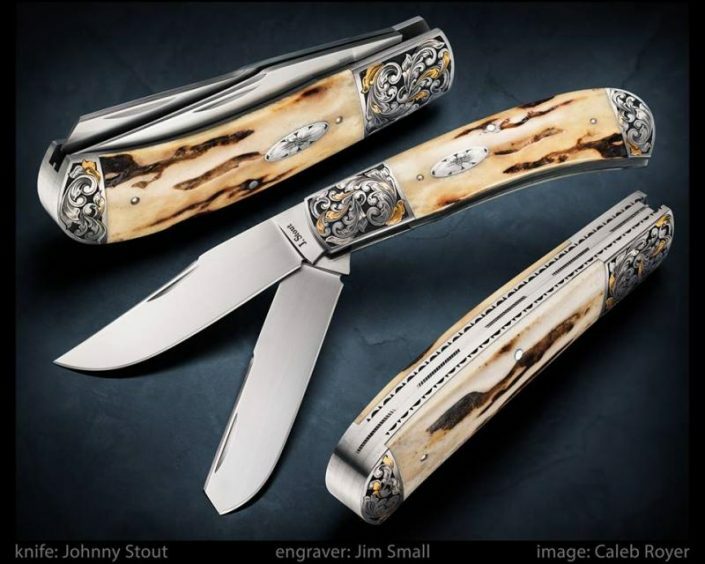 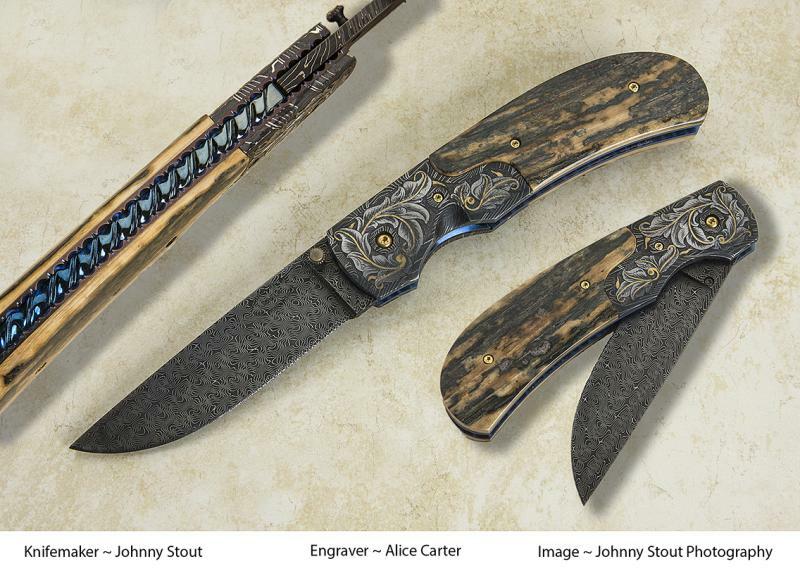 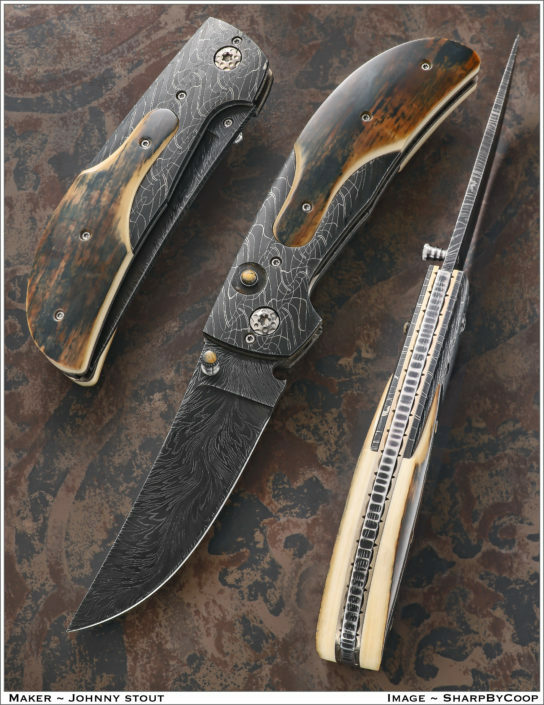 Fitted with a Bill Burke River of Fire Damascus blade, Damascus bolsters, and museum fit mammoth ivory scales. The backspacer is fluted and etched Damascus steel. 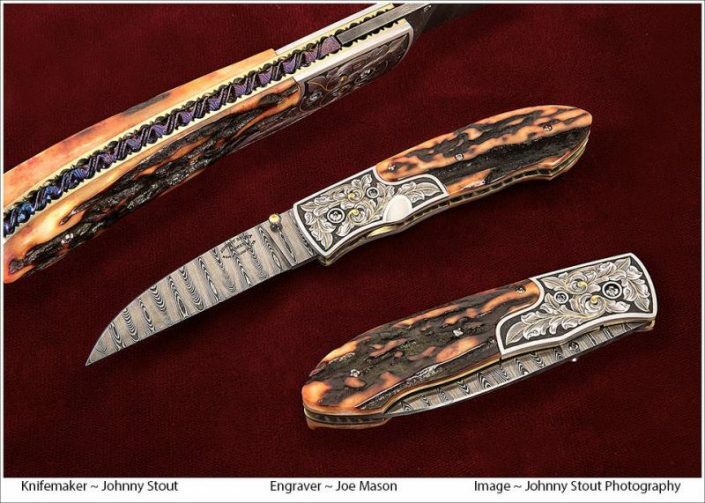 Available for immediate delivery, $4999.00. 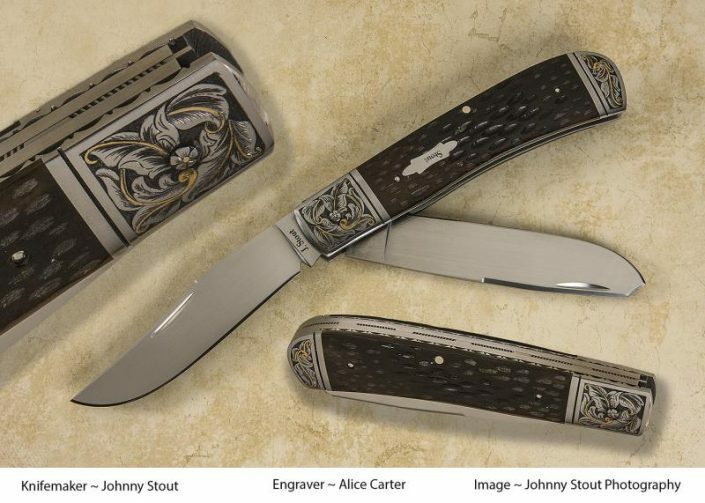 Click on image for a hi resolution view. 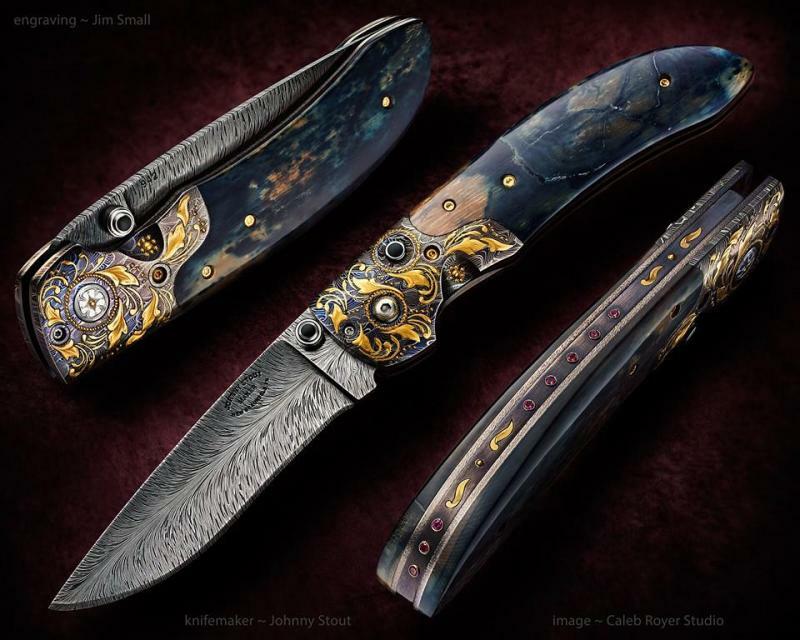 The “Zenith”. My newest Linerlock Fine Folder, fitted with a 3″ blade of Doug Ponzio’s Turkish Twist Damascus, engraved bolsters by Alice Carter, and fitted with Presentation grade Goldlip Mother of Pearl. Available for immediate delivery, $4750.00. Click on image to view in high resolution.